2019 Academy of Country Music Awards nominees for Male Artist of the Year are Dierks Bentley, Luke Combs, Thomas Rhett, Chris Stapleton, and Keith Urban. Here’s a look at each of the contenders. 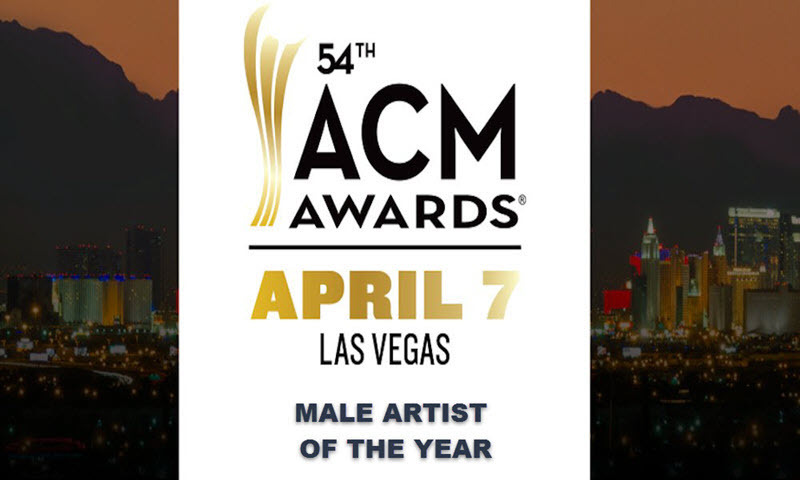 The winner will be announced at the ACM Awards live from Las Vegas on April 7, 2019. Dierks Bentley has been nominated for dozens of awards, from the ACMs to Billboard, and has snagged his fair share of the wins. Although he’s definitely not new to the country music scene, he’s at the top of his game, especially with the recent success of his newest project, Burning Man. He’s headlined 14 tours of his own, and his been a supporting or co-headlining act on 5 more. Is it safe to say he’s here to stay? I think so! Luke Combs grew up in Charlotte, North Carolina as a star football player, a young vocalist, and even performed solo at Carnegie Hall. He dropped out of college with less than just 1 month left of his fourth year to pursue his dream of becoming a country music star– a choice that would ultimately prove to be everything he’d ever wanted and more. He’s my personal favorite in the industry right now, and I’m rooting for him to take the win! Thomas Rhett Akins Jr., aka Thomas Rhett, is the son of none other than country singer Rhett Akins. Between the three of his studio albums, he has produced 17 singles that have made it to the Hot Country and Country Airplay charts. In addition to the success of his own material, Thomas has written singles for artists like Jason Aldean, Michael Ray, Florida Georgia Line, and Lee Brice, and is getting ready to kick off his 3rd headlining tour! Along with being an amazing performer/singer/songwriter, he’s also a devoted father and loving husband. We stan! Only having REALLY started his career in 2015, Chris Stapleton is completely changing the game. On top of raising a family of 4 children alongside his beautiful wife Morgane, he’s bringing classic and modern country styles together in a way that is refreshing and almost unheard-of in this day and age. This would be far from his first win if he were to take the victory, but it’s quite the honor nonetheless! If you know anything about country music, you know that Keith Urban is one of the most well-known names in the world. He’s a 51 year-old (WHAT) singer and songwriter, born and raised in New Zealand. 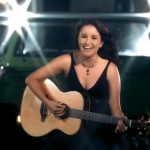 He made the move to America in 1992 to further his career in country music after having already released one chart-topping, self-titled album in his homeland. His second album charter 2 singles on the US Billboard Hot Country Songs chart, and has only taken steps forward ever since. 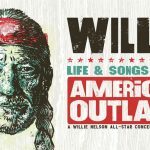 He’s won numerous awards– which isn’t surprising in the slightest– in all different categories, has headlined 11 tours, released 11 albums, and collaborated artists from all different genres including Julia Michaels, Carrie Underwood, and Miranda Lambert. He’s married to Nicole Kidman and they share two daughters, whom he dedicates every spare second to. Check out the full list of 2019 ACM Awards nominees. The ACM Awards will be broadcast live from MGM Grand Garden Arena in Las Vegas on Sunday, April 7 at 8:00 PM ET/PT on CBS. Who’s your pick to win Male Artist of the Year?